Tucson-based drag performer Patrick Holt, aka Tempest DuJour, released a film short early this morning poking fun of his/her being the first contestant booted off the season premiere of RuPaul's Drag Race last night. The short, "Tempest DuJour's Very Bad Day," can be found on YouTube at or at http://www.goldengravy.com. After what happened on Drag Race, it was just too good an opportunity to pass up. Always leave them laughing if you can. Tucson-based drag performer Patrick Holt, aka Tempest DuJour, released a YouTube video early this morning poking fun at his/her dubious honor of being the first drag queen eliminated in last night’s seventh-season premiere of RuPaul's Drag Race. "I've always loved the self-deprecating humor of the great ladies of comedy," Holt said. "I'd wanted to do a project like this for a long time, and after what happened on Drag Race, it was just too good an opportunity to pass up. Always leave them laughing if you can." Holt said the short, "Tempest DuJour's Very Bad Day," had been in the works since 2014 and was originally going to end with an embarrassing, malodorous bathroom event at a surprise party. His elimination from RuPaul’s Drag Race during filming last summer offered a perfect new ending, but Holt couldn't share the news, which made production challenging, he explained. When actors in the video are watching Tempest's elimination moment on TV, for example, they didn't know during filming how that scene would actually play out in the final edit, with audio of RuPaul sending Tempest packing. "We shot the party scene by telling everyone they were seeing me get hit by a car on the news," Holt explained. "I wasn't even allowed to tell the friends I was working with what the real ending would be until after the premiere, which meant a lot of white lies and a very late night last night. Fortunately, I have some very dedicated and forgiving friends." 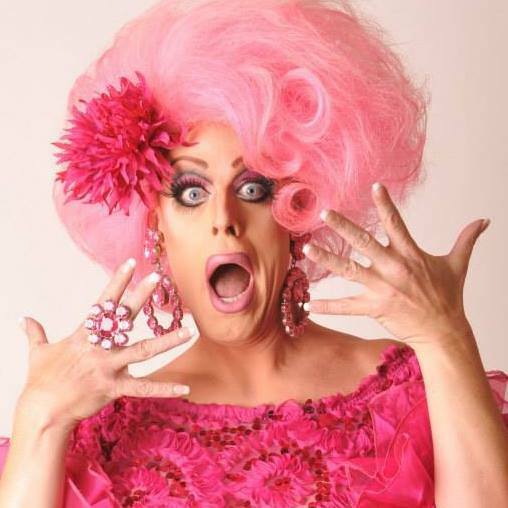 Holt is an associate professor in theater and film at the University of Arizona and has the distinction of being the oldest drag queen to compete on RuPaul's Drag Race. He lives with his husband David and their two kids in Tucson, AZ, where he also hosts Retro Game Show Night, a monthly re-creation of TV game shows from the 70s with contestants pulled from sold-out crowds at Tucson's historic Hotel Congress. "Tempest DuJour's Very Bad Day" was created by Holt and a creative collaborative working under the moniker Golden Gravy Productions. Drag performer Tempest DuJour posted a YouTube short making fun of her being the first queen booted off RuPaul's Drag Race last night.Drag performer Patrick Holt aka Tempest DuJour, one of the contestants on the current season of RuPual's Drag Race. Drag performer Tempest DuJour posted a YouTube short making fun of her being the first queen booted off RuPaul's Drag Race last night.Drag performer Patrick Holt aka Tempest DuJour, one of the contestants on the current season of RuPual's Drag Race. Drag performer Tempest DuJour posted a YouTube short making fun of her being the first queen booted off RuPaul's Drag Race last night.Drag performer Patrick Holt aka Tempest DuJour, one of the contestants on the current season of RuPual's Drag Race. The creative team at Golden Gravy Productions created the YouTube short "Tempest DuJour's Very Bad Day. "Logo for Golden Gravy Productions, a creative collaborative headquartered in Tucson, Arizona.